Nepal is well-known as the paradise for trekkers. Needless to say, Nepal is also regarded as land of festivals. No matter when you visit Nepal, you’ll be sure to encounter at least one of the country’s festivals. Festivals in Nepal are often related with deep-rooted religious beliefs and traditions, nonetheless also have the benefit of bringing people together, create harmony and inspiring them to rejoice together. 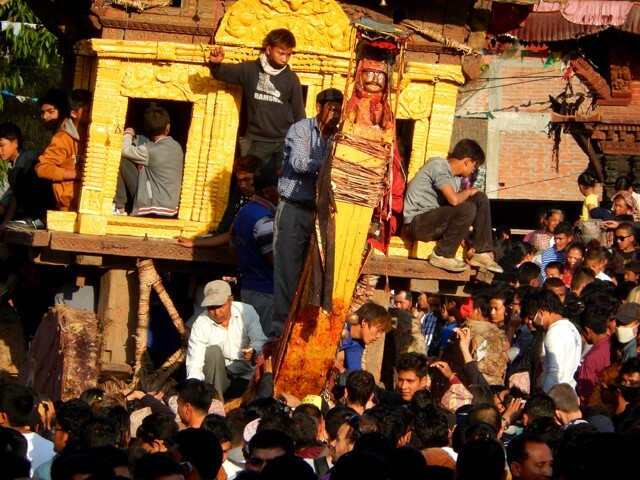 Among countless festivals celebrated throughout the country, the Bisket Jatra is a very popular festival observed in Nepal. This grand festival celebrated with great zeal in Newar community living in Bhaktapur district which is 18 kilometers away from Kathmandu. 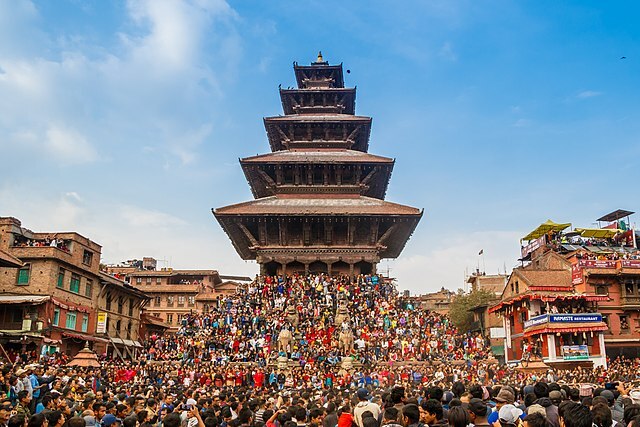 The weeklong Newari festival, celebrated annually where thousands of people visit Bhaktapur from every corner of Nepal to witness the festival. 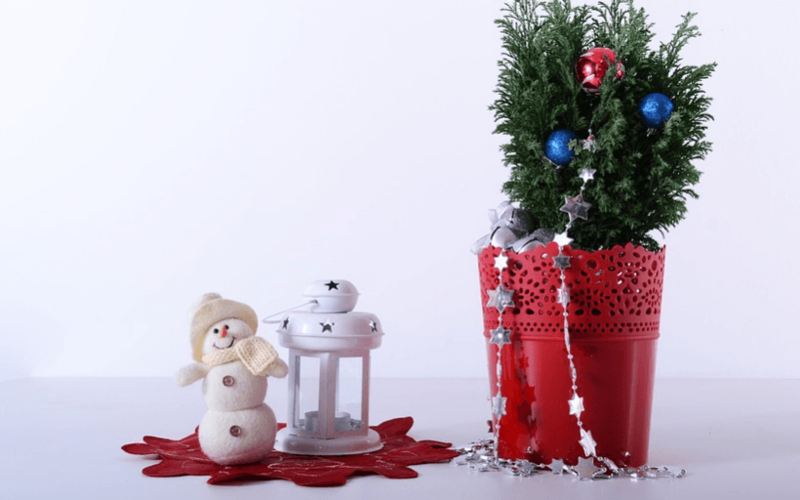 This annual event is believed to have begun in the Lichhavi Era. 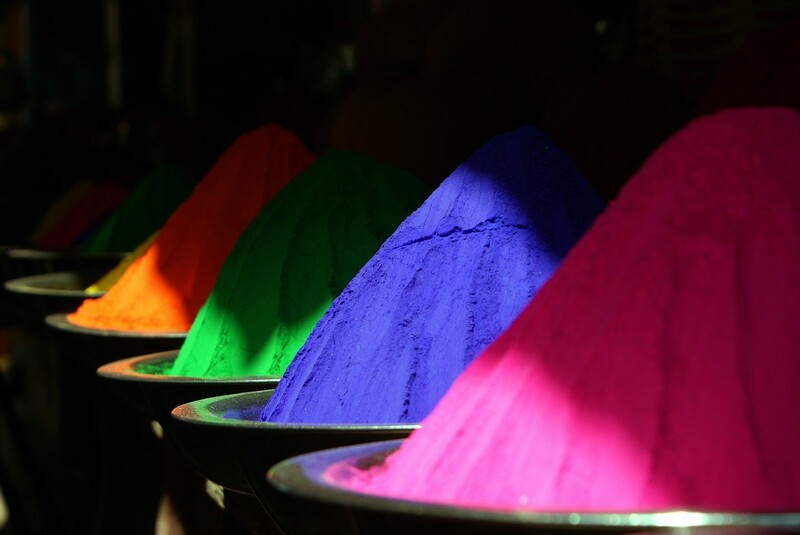 Also considered as Sindur Jatra (vermillion powder), Bisket Jatra is one of the most remarkable colorful festivals of Thimi and is absolutely unique than the ‘Bisket’ observed in Bhaktapur. Locally, the festival is highly prominent as the tongue piercing festival. This vibrant and distinct festival marks a cultural ecstasy in Bhaktapur.It is a festival of human emotions that are symbolically portrayed through the manifold aspects of the festival. Prominently, the event signifies the advent of spring. It marks the end of the Nepali month of Chaitra and the arrival of a New Nepali Year in Baisakh. The festival also marks the ancient solar Nava Barsha (New Year) and is the only festival that does not follow the lunar-based Nepali calendar. The festival commences 4 days before and lasts for 9 days after the Nepali New Year. 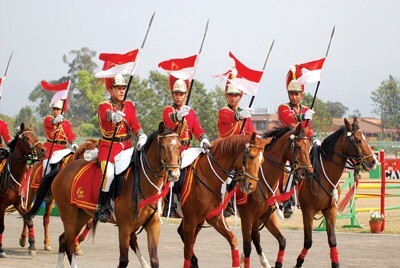 This year Bisket Jatra held from 10th-18th of April, 2019. 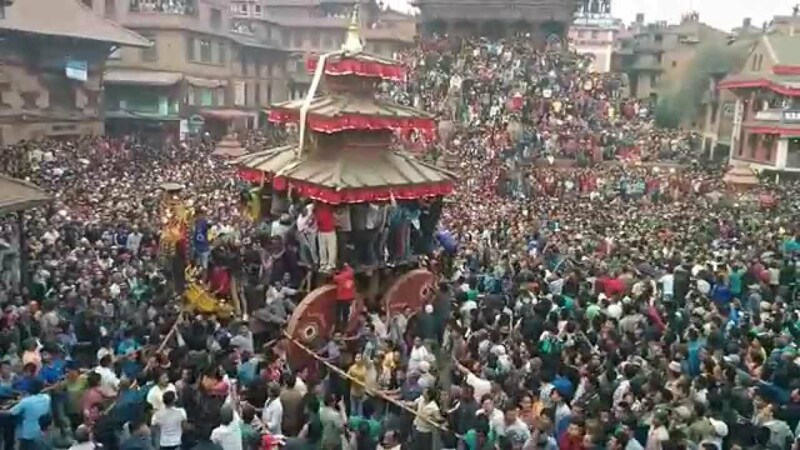 The main event of this Jatra will occur from 13th – 14th April, 2019. If you also want to experience the excitement of this splendid festival, make sure you visit the famous city during this period. The festival will last until April 18,2019. The parades are sure to bring a great amount of enjoyment and eternal memories. The term Bisket Jatra is derived from Newari word Bi and Syaku which means snake laughter. 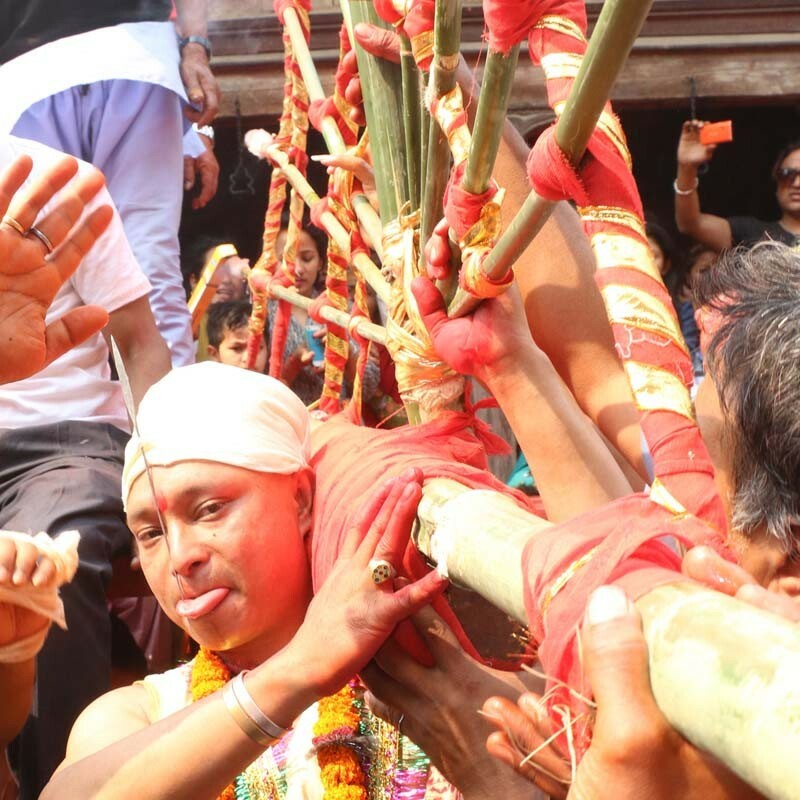 Legend reveals that, Bisket Jatra celebrates after the death of the serpent. It is said that the two serpents slithering out of the princess nostrils when she sneezed at midnight. In the sparkling of an eye, they transformed into huge serpents. When they were about to attack, the young man killed them using his tantric powers. This festival are also closely associated with the form of creation. According to myth, Bhairab and Bhadrakali are the celestial male and female kinds of the atmosphere and the Earth. So, Bhadrakali and Bhairab are worshipped as the pioneer of earthly creation. A huge ceremonial pole approximately 25 meters Yohsi (male genital) is also erected in the stone called yoni (female genital) base. In the evening of New Year, the pole is laid down during the Bisket Jatra that symbolize Bikram Sambat New Year. Whereas, the erection of pole in the stone signifies for the ritual consummation and ultimately denotes fertility. In Nepal, tongue piercing performed during Bisket Jatra and celebrated with much pomp and fanfare. On this occasion, a volunteer from Shrestha clan gets his tongue pricked in a spiritual trance with an iron spike. 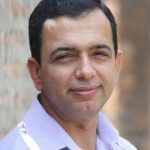 Juju Bhai Shrestha is the most well-known tongue piercer who have been performing the act of tongue-piercing for several years. During this ritual, the village elder cleans the needle and the volunteer’s tongue gradually and methodically. Then swiftly pierces the tongue. And the volunteer roam around the town shouldering round bamboo rack on his shoulder and flaming lamp on hand. The volunteer is not allow to swallow anything while the needle is in his tongue. So spectators place drips of oil into his open mouth to prevent it from drying out. The tongue piercing is escorted by traditional music and massive procession. It is thought it marks bad omen if the tongue bleeds during the piercing or later removal of the 10-inch needle. It is also assumed that the successful achievement of this painful rite brings good luck that signifies the defeat of good spirits over evil spirits. The lingam which is about 80 feet tall is adorned with a plant on its top. Enthusiastic youths make an effort to climb the pole, using big ropes in order to get the plants. It is said that whoever is able to do so will likely to have son. 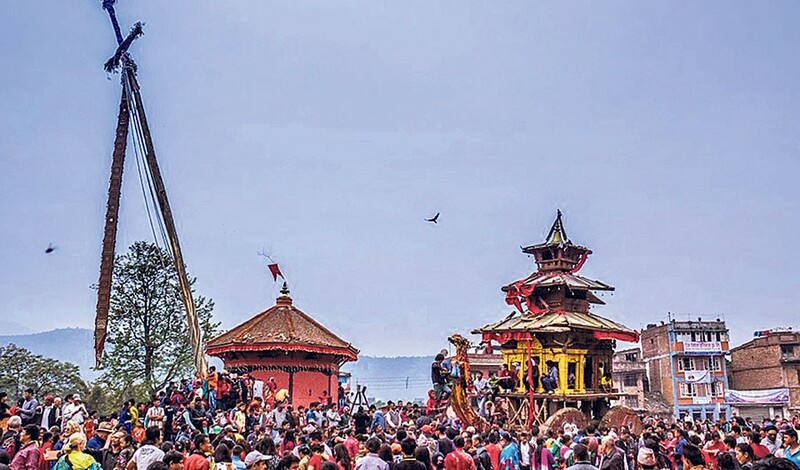 For two weeks prior to the festival, people adorn huge wooden chariot in the center of Taumadhi Square in preparation for carrying the palanquins of sacred shrine of the God Bhairav. 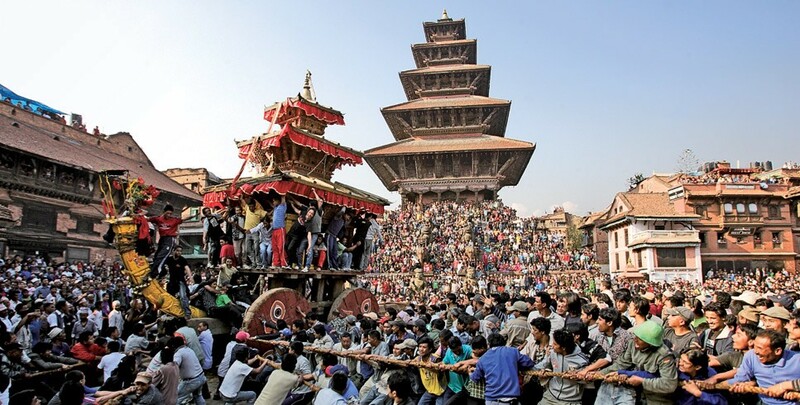 Bisket Jatra is celebrated for consecutive nine days in Bhaktapur. The festival initiates with a special tantric ritual in the Bhairab temple in Taumadhi Tole near Nytapole Temple (Five storied Temple). In the first two days of Bisket Jatra, the ceremonial pole is set up in Taumadi Tole of Bhaktapur, demonstrating embroidered clothes representing the serpents. On the third day of the festival, idols of Lord Bhairav and Goddess Bhadrakali are enshrined in two large palanquins. The chariots are tugged through the cobblestone streets of Bhaktapur. A huge pull of war between the east and west inhabitants of the town creates a highly competitive environment. The winning side considered to be blessed with luck and good fortune for the coming new year. It is so astonishing to watch the chariot tugged by both sides. On the other hand, you will feel fantastic when you hear the sound of rope pulling in full motion . Also, people from different localities visit chariot and offer worship to the shrine. On the New Year’s Day, devotees take bath in the sacred Hanumante River and pay respect to Yoshin, Lord Bhairav, and goddess Bhadrakali. They consider that taking a dip in the water of the river on New Year’s Day will keep them vigorous throughout the year. Likewise, a tongue-piercing ritual is performed on this day. You can even see Laakhes performing Mask Dance during the procession to show the dexterity of the deities that embody them. On the fifth day, huge crowds of devotees assemble in Bhelukhel and in Pottery Square. In the early morning devotees from the entire city sacrifice animals to the chariots of God Bhairab and Bhadrakali. Besides, people worship shrine like Ganesh, Barahi, Mahakali, Mahalaxmi in their own area. Subsequently this event is followed by a grand feast all over Bhaktapur. In the evening, the lingo (ceremonial pole) drag down in Bhelu Khel. The next day is the sixth day of the festival. On this day, devotees in Thimi observe the Bisket Jatra by taking out a parade carrying 32 chariots comprising the idols of several deities. People throw and smear extravagantly with sindhur (orange vermillion powder) during procession.The festival celebrations comprise playing of Dhimey (traditional Newari musical instrument) along with dancing and walking with oil lamp. The lighting of the lamp symbolizes the arrival of the New Year. On the seventh day of the festival, people worship their local deities in different localities. People from several places assemble together to celebrate the festival. The people from Newari communities invite their relatives and friends for the special feast. The elder family members put Tika on the foreheads of the younger ones and relatives exchange blessing. The second last day’s celebration starts by offering the different delightful food , sweets, fruits to all the local deities of Bhaktapur city. On this day, most of the men and women dressed in their traditional attire (Haaku Potaasii) and visit the entire city in a parade accompanied by traditional music, dance with great delight. On the last day of festival, the pole erected before 5 days is laid down performing various rituals. In the evening, palanquins of God Bhairab and Goddess Bhadrakali are drawn towards the upward direction, as “Deo tha bijaayegu” which means “God now return back to his own sacred home”. People gather together and play many traditional musical instruments marking as the end of the festival “Bisket Jatra”..
To get to the event, Nepal Sanctuary Treks arrange the vehicle towards Bhaktapur. It is a place where you can immerse into the rich Newari Culture to its fullest. 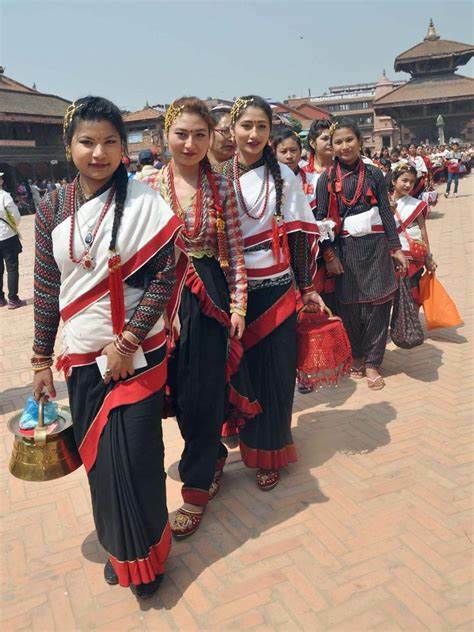 Newari Culture itself being a beautiful culture, allow you to get first hand experience through these several cultural events that hold the historical and cultural significance.